State Rep. Joe Armstrong is asking that a federal judge toss his felony tax evasion conviction or at least grant him a new trial. A jury earlier this month found the long-time East Knoxville Democrat guilty of filing a false and fraudulent tax return, but declined to convict him on two other charges - conspiracy to defraud the United States, and attempting to evade and defeat taxes. 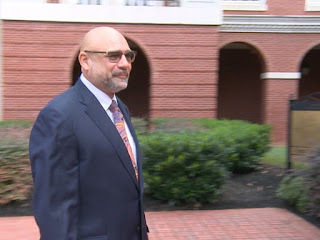 Lawyer Gregory P. Isaacs said the jury shouldn’t have found him guilty of filing a false tax return if it acquitted him on attempting to evade and defeat taxes. “In this instant case, the United States did not show any differentiation in the factual basis supporting Court Two and Count Three, rather one narrative of alleged conduct premised upon identical evidence and proof,” Isaac’s motion filed in U.S. District Court states. Prosecutors, who have said they will seek prison time for Armstrong, have not responded to the motion. During his week-long trial, the government contended that the 14-term state representative used his position to buy state cigarette tax stamps before an increase was passed by the state Legislature. He then sold them for a profit – about $321,000 – but failed to report tens of thousands of dollars of the income on his 2008 tax returns, prosecutors said. The government said Armstrong worked in conjunction with his Kentucky-based accountant to hide the money from the IRS by funneling it through one of his accountant’s businesses. The accountant, Charles Stivers, had pleaded guilty for conspiracy to defraud the United States and prosecutors offered him leniency to testify against Armstrong. “Based upon the credibility of Mr. Stivers, the District Court should totally disregard all of his testimony, leaving insufficient evidence to establish Mr. Armstrong acted willfully,” the motion states. As a result of his conviction, the Knox County Democratic Party picked Rick Staples to replace Armstrong in the November general election for the 15th District House seat. He faces independent Pete Drew. Armstrong’s sentencing is set for Nov. 30.